Structural Design & Engineering Company in Texas, New York, Calif. Structural Innovations Engineering & Consulting, PC provides structural design engineering services for a broad spectrum of projects. Our resume of experience includes large commercial and industrial structures to residential projects, including multifamily complexes and single family homes. We currently hold licenses in California, Georgia, Illinois, New York, North Carolina, South Carolina, Texas, Virginia, Washington & Washington, DC. Based on our credentials, we have the ability to be both licensed as Professional Engineers (PE) and as Structural Engineers (SE) in any of the fifty United States. 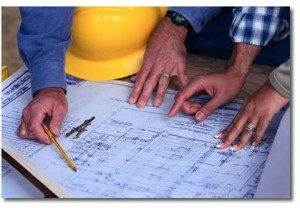 Our staff of structural engineers has the experience and expertise to successfully complete your next project! Residential construction, in particular multifamily construction, was one of the first markets to rebound after the Great Recession. Our engineers have worked on a number of multifamily projects constructed of both wood and post-tensioned concrete. Being headquartered in the Southeast, our structural engineers participated in the boom in commercial construction over the past decade. We have designed a number of retail and office centers using concrete, steel and masonry materials. Our structural engineers have designed a number of structures at heavy industrial facilities. Our resume is broad based and spans the power, mining, oil and gas industries.